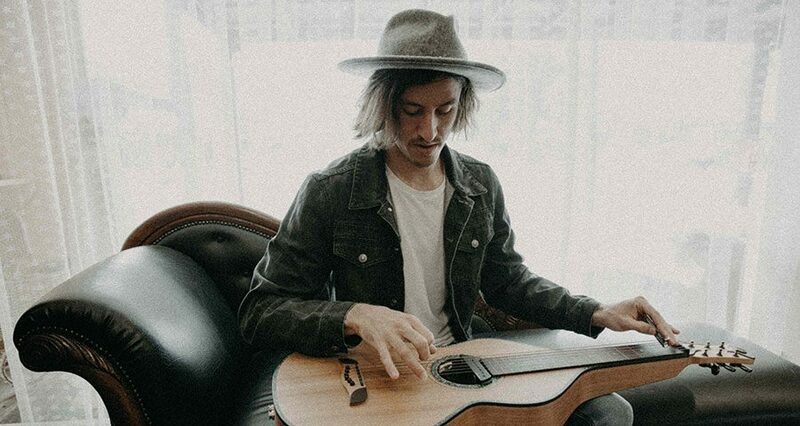 Grant St Grocer invites you to a special performance by musician James Bennett. 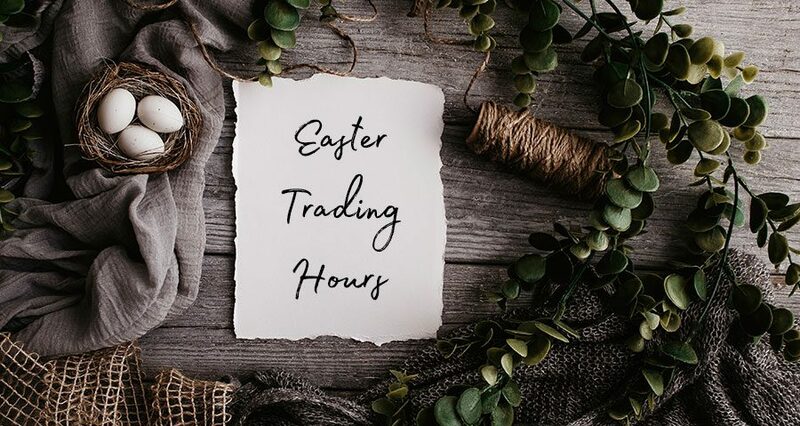 Delivering a.. 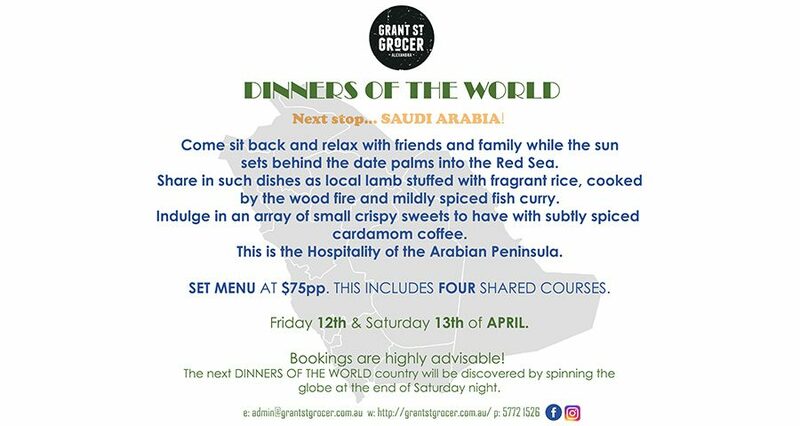 Dinners of the World – Saudi Arabia! 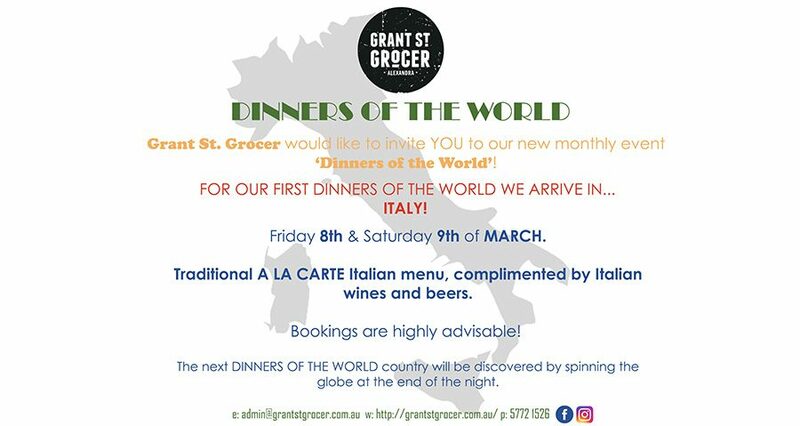 Grant St Grocer would like to invite YOU to our new monthly event.. Dinners of the World – Italy! 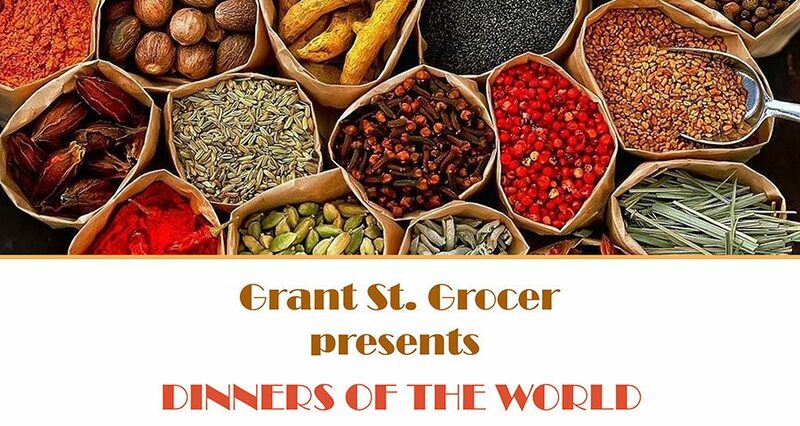 Grant St Grocer would like to invite YOU to our new monthly event ‘Dinners..
Grant St Grocer would like to invite YOU to our new monthly event ‘Dinners of the World’. 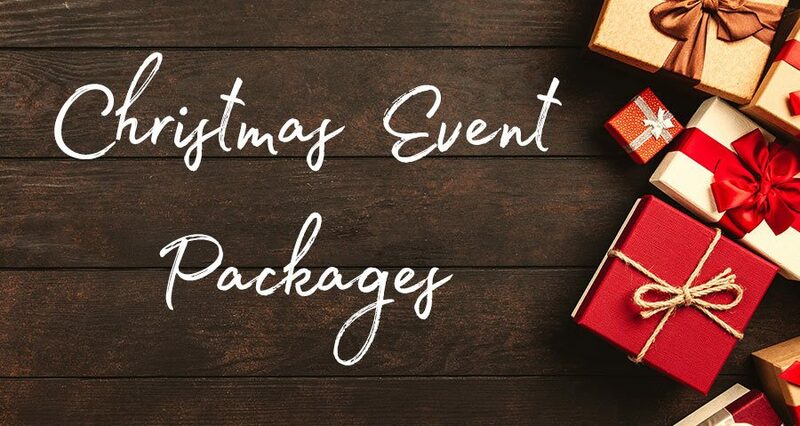 Inspired by dinners with Al and Lisa’s chef..
Grant St. Grocer is offering gourmet Lunch and Dinner Packages for Christmas Events with 14 or more attendees.